Focus. Focus. Focus. It’s what will move the train. My theme is: Focus. Risks. Finish. That theme has served me very well this year and I have accomplished all three of them in various ways. I had to focus on many things this year, along with taking a few big risks, and it was the year I finished a couple of big projects that have been on my plate. I promised myself to focus only on what matters and nothing else. But it took a NEW level of self-discipline to keep the focus and that’s the hardest part. See I believe it’s not the big goals that scare us, but instead the focus, self-discipline and courage TO make that goal happen that scares us! As entrepreneurs we are naturally drawn to fun, shiny objects, right? Squirrel!! We distract and derail our trains ALL the time. But with a new found focus I promise you will move your train with velocity! I know it takes crazy amounts of focus to move the train. What train? The train of your life/business. My business train is on a track and I am clear in my vision for my 1 year, 2, year and 3 year goals, and without that vision I would derail my train all the time because my choices wouldn’t be aligned to the vision. When our choices are aligned with vision that’s where the magic is! What I have found in my own business is that with every choice that make I get the train closer to my vision or I derail the train. So, if my choices are the thing that makes the train move then my focus needs to be on making choices from my greatness (empowered/positivity) verses my smallness (fear/doubt/negativity). This year I had to focus on 3 key choices of my business: people, profits, programs. I had to hire the right people to help me, I had to focus on hitting my sales goals every month, and I had to complete my programs curriculum. Boy did it take a ton of focus to finish!! 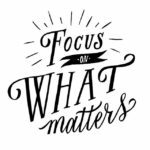 This month is my 20th anniversary as a business owner and I’m celebrating with a “focus day” called Jump Into Greatness Mastermind and it’s all about focusing on your big 2017 goals. It’s events like this that I LOVE. 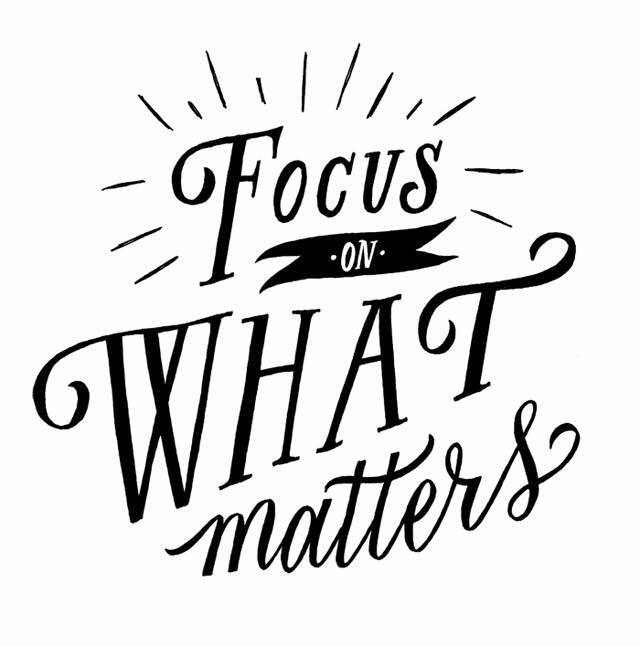 We live in a crazy-distracting world but when people focus on what matters it makes all the difference. As we end the year I hope you will reflect on what worked in 2016 in your business (or life) and use that to make CRAZY-great goals for 2017. Focus, focus, focus! Challenge: Think about what do you have to focus on to get your train back on track or to further your train down the track? Identify 1 thing you have to focus on for the rest of 2016 so you will have your best year in 2017!